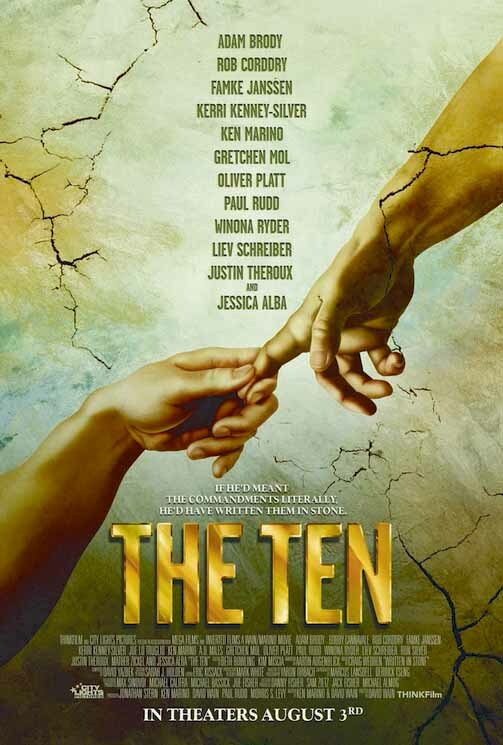 THE TEN is comprised of 10 blasphemous and hysterical stories that put the insanity back in Christianity. Inspired by each of the Ten Commandments, every story is told in a different style, but the characters and themes overlap. It's all held together by a narrator who has his own moral problems. Finally, everyone is united at the end for a rousing finale that answers the question, "What's it all about?" These hilarious stories feature a careless skydiver who becomes an accidental superstar, a doctor who kills patients as a "goof," two neighbors who compete over who can amass the most CAT-scan machines, and a woman who falls for all the wrong men, including a ventriloquist's dummy.